The practice of ‘clipping’ gold or silver coins has long proved irresistible for a few enterprising individuals who want to get more than they deserve for their money. The practice was most prevalent on hammered coins, with their already irregular shape masking the intended deception. A fraudster would clip or shave off a tiny section of a coin, then attempt to pass off the tampered coinage as original. Over the months, the tiny clippings of gold and silver could well amount to a decent sum, whilst leaving the exchequer out of pocket. Successive monarchs and governments tried to stem the practice, with varying success – the harshest punishment being the death penalty. 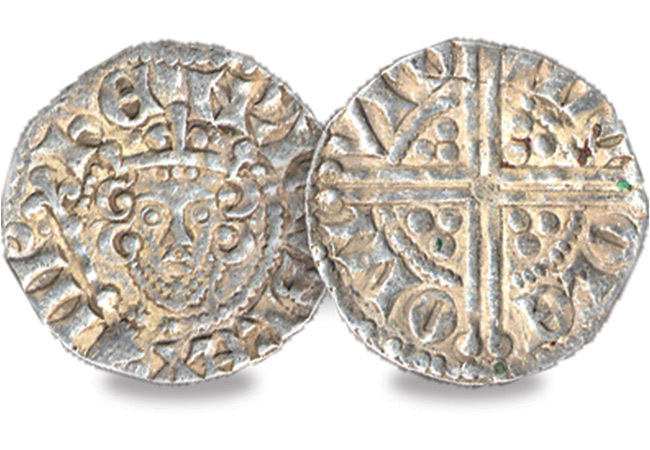 The Henry III ‘Long Cross’ Silver Penny is one of the most innovative examples of fraud prevention – the traditional short cross design on the reverse of the coin was extended to reach the edge of the coin – immediately making it obvious when a coin had been clipped. The Hangman’s Wages – or money for old rope? How much was a hangman paid? Well, back when Tyburn was one of the most notorious locations in Britain it was 13½d. Situated at the end of what is now Oxford Street near Marble Arch in London, Tyburn was for centuries the home of capital punishment in England. The ‘Tyburn Tree’ – a triangular gallows – was used for executions right up until 1783. Various sources suggest the Hangman’s fee for an execution was 13 pence, however the actual amount that changed hands was 13½d – the extra halfpenny was for the rope. Two of the most notable executions conducted at Tyburn were James ‘The Gentleman Highwayman’ MacLaine and Oliver Cromwell, whose dead body was exhumed and hanged again as an act of revenge by the Cavalier Parliament. Could this have been The King’s Shilling? It is the stuff of legend that Royal Navy press gangs would try any means to get potential recruits to ‘take the King’s Shilling’ – the signing up bounty for new sailors. Acceptance of the shilling was deemed to be a commitment to recruitment in the King’s service, and as the dreadful food, harsh labour and risk of death did not appeal to many the coin was often surreptitiously dropped in a ‘free’ pint and handed over, which led to the creation of glass-bottomed tankards. For hundreds of years, right up until the present day, Britain’s coinage has been diligently pious – except for one notorious occasion. 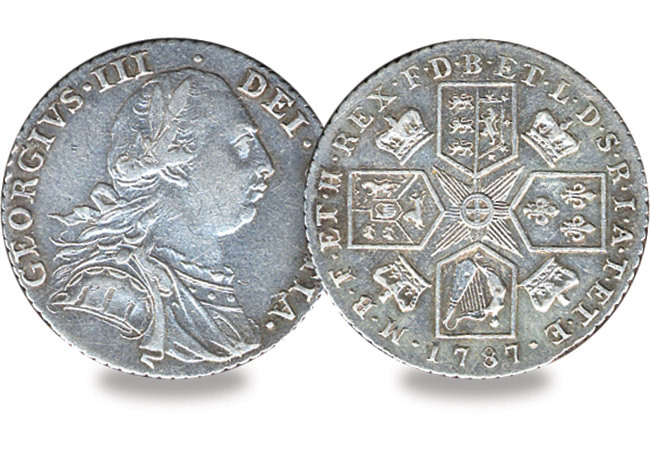 Each coin features a range of different Latin inscriptions, but all coinage features the full text or an abbreviation of Dei Gratia, Fidei Defensor – ‘by the Grace of God, Defender of the Faith’ – reference to the Monarch’s position as head of the Church of England. 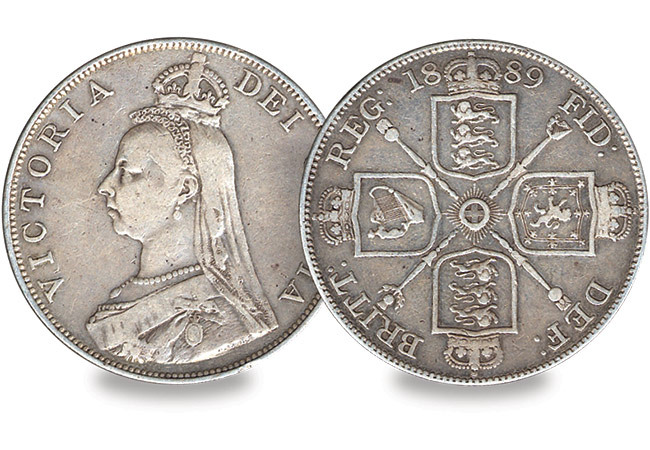 However, in 1849 a new silver coin – the Florin – was introduced and this inscription was left off, with just Victoria Regina 1849 on the obverse. Despite the exceptional design of the coin, there was an immediate outcry from the strongly religious Victorians and the coin gained the nickname ‘the Godless florin’. It was even suggested that an outbreak of Cholera that year was the act of a vengeful God, visiting death upon the British population as revenge for leaving Him off the new coin. 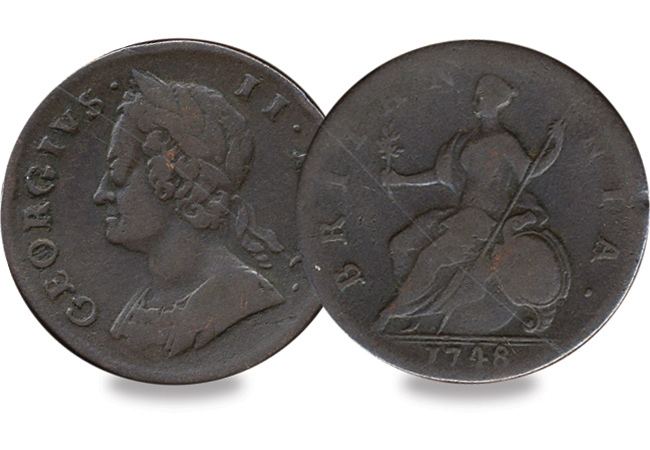 Suffice to say, after Queen Victoria herself complained, the coin was replaced, and remains to this day one of the most infamous one-year-only coin designs in British numismatic history. Introduced in 1887, the year of Queen Victoria’s Golden Jubilee, the double florin was for many an unwanted addition to British currency. 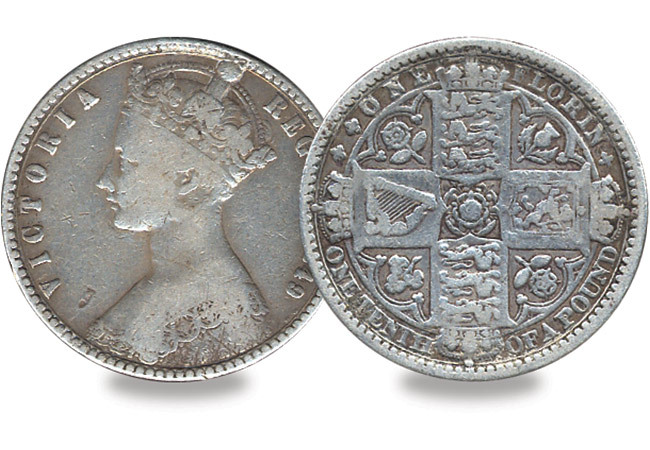 The real reason for its introduction is disputed, nevertheless it became Britain’s second ‘decimal’ coin, just 2mm smaller in diameter than the familiar Crown yet worth a shilling less. The unintended consequence was that a significant number of unscrupulous rogues tried to pass the coin off as a Crown, with naïve barmaids apparently the most susceptible to the deception. Anecdotal evidence suggests more than a few barmaids lost their livelihood on the grounds that they were losing the tavern owners money, hence the nickname Barmaid’s Ruin. Want to secure all five infamous coins today? The Westminster Collection have a limited number of complete sets available. Great stories, but alas number three is a myth. Even then you could change your mind about joining any of the armed forces for up to a week after agreeing to enlist, even if you had signed a legal document. Today we call it a “cooling off” period, and it was as valid then as it is today.